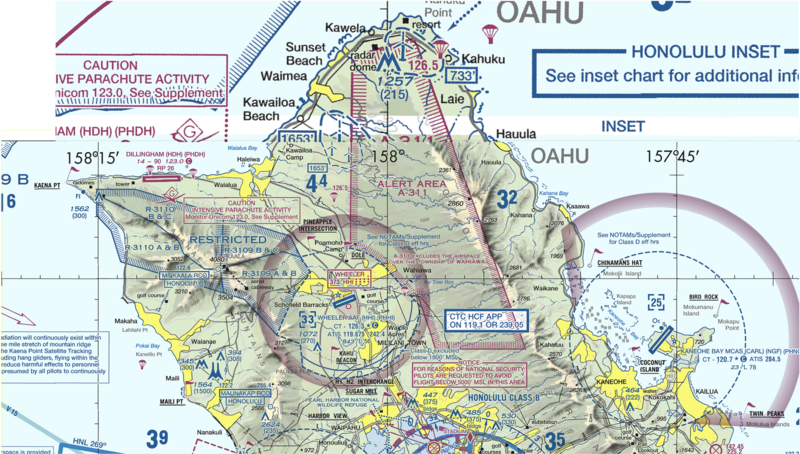 Effective the new VFR charts later this month, Wheeler is increasing the size of their Class D airspace. This was done to make it possible for IFR operations at HHI to remain in protected airspace. Note the unusual “lip” on the airspace to the southeast. 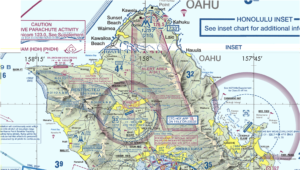 This was designed to allow VFR aircraft holding in the vicinity of the H1/H2 interchange to remain outside of Wheeler’s Class D while circling at 2000′ MSL for permission to enter the HNL Class Bravo. You can click on the chart below for more detail.